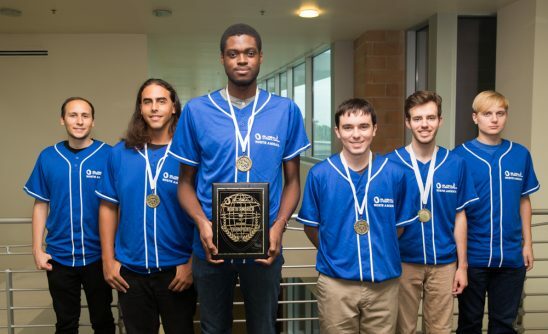 A team of University of Central Florida students who are experts in cyberdefense took third place last week in the Global Cyberlympics World Finals in the Netherlands, a competition that pitted them against top teams from around the world. 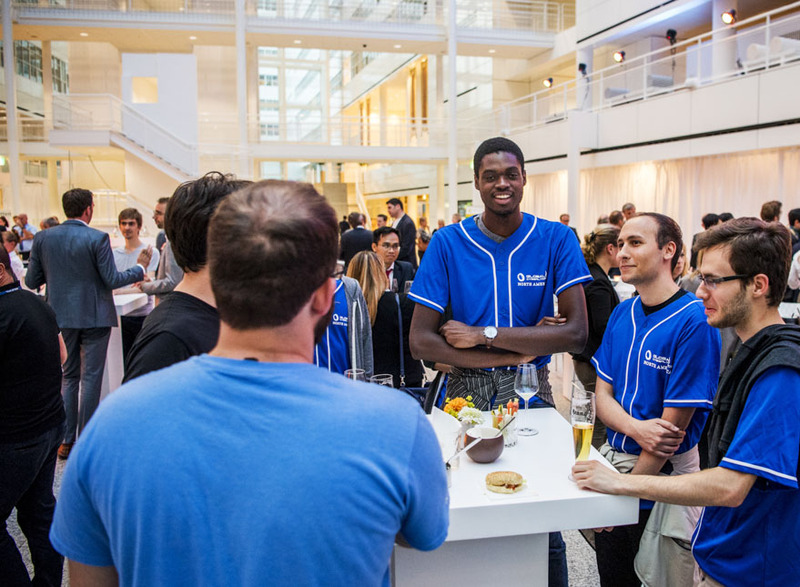 The six-member team – all of them under 21 years old – faced teams of professionals from major tech companies including Cisco and Kapersky Lab. In addition to Tonic, members of the team are: Matthew St. Hubin, a junior information technology major who is team captain; David Maria, a junior computer engineering major; Andrew Hughes and Noah Al Shihabi, both juniors majoring in computer science; and Ryan Meinke, a sophomore computer engineering major. They’re all members of the UCF Collegiate Cyber Defense Club, a student organization that focuses on information-security education. The club regularly fields teams that compete in cybersecurity competitions, and were three-time consecutive national champions after winning the National Collegiate Cyber Defense Competition in 2014, 2015 and 2016. 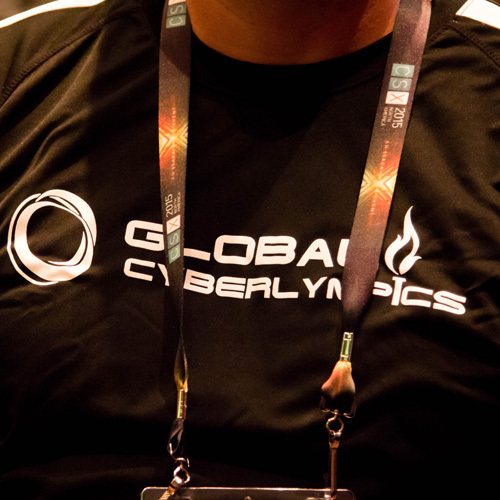 In August, Hubin’s team competed in the North American Global Cyberlympics for the first time and placed first in North America. That earned them a spot in the world finals, which took place Sept. 27 in The Hague, Netherlands. The competition included a series of challenges that started with blunt physical security and progressed to cybersecurity expertise. First, they were given a box containing seemingly random items – a nail, a credit card, a file, a padlock and headphones – and were asked to open the padlock using only items in the box. After some tinkering, they broke open the headphones and pulled out a metal shim they used to pick the lock. Their next task was to determine the number of the credit card, which was not printed on its front. The team pulled it off by using the file to produce fine metal shavings from the nail that were used to reveal details recorded on card’s magnetic stripe. Only after solving those puzzles were they given a network connection and computer-based challenges, including ferreting out specific text strings hidden within a massive memory dump. It would seem like a tense competition, especially considering that the UCF team was sleep-deprived after arriving the day before following 21 hours of travel. But they didn’t see it that way. They finished behind a first-place Netherlands team and second-place Russian team. A GoFundMe account was opened to raise money for the team to travel to the Netherlands. But a donation from Logan Hicks, founder and CEO of the IT engineering company EduArmor, made the trip possible by funding most of the cost. “Without help from that donor, we definitely would not have been able to travel to this competition, so we are very grateful for that,” Tonic said. This article first appeared on University of Central Florida’s website: here.